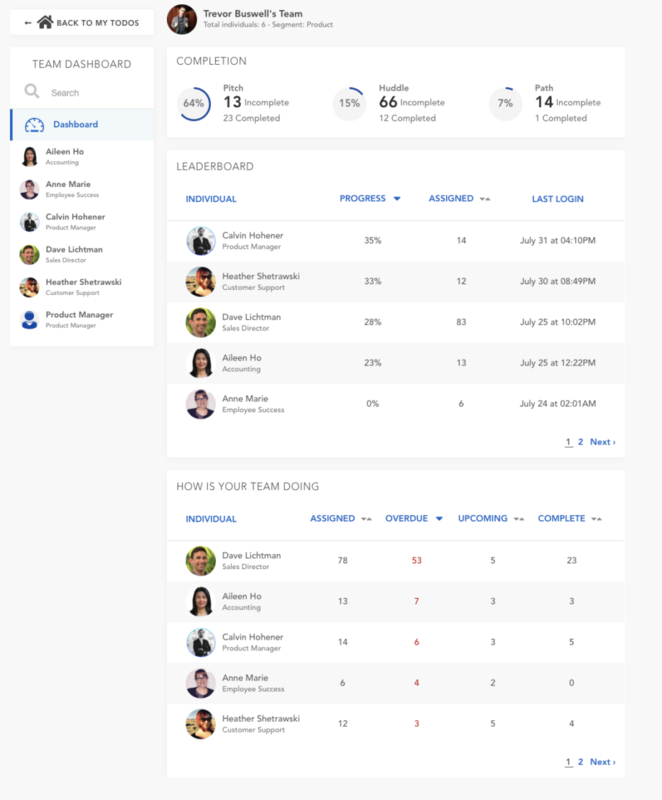 The team dashboard is a feature for users whose role is “Manager,” “Coach,” or “Publisher” to track the completion progress of their team members. 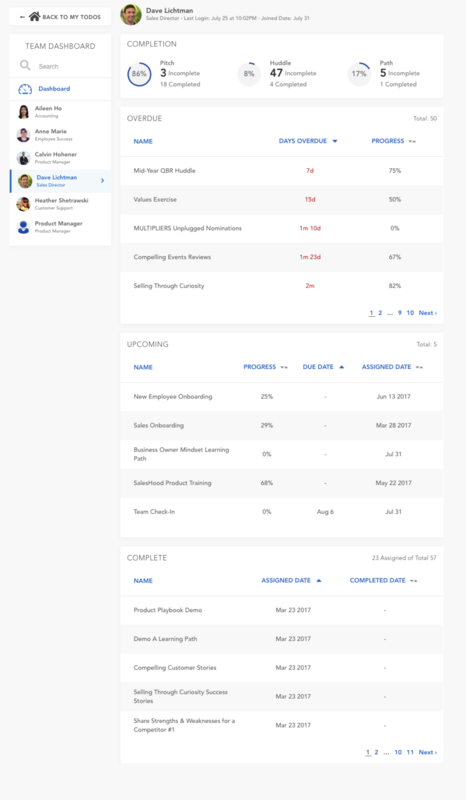 Step 1: To access the Team Dashboard, navigate to the SalesHood homepage. 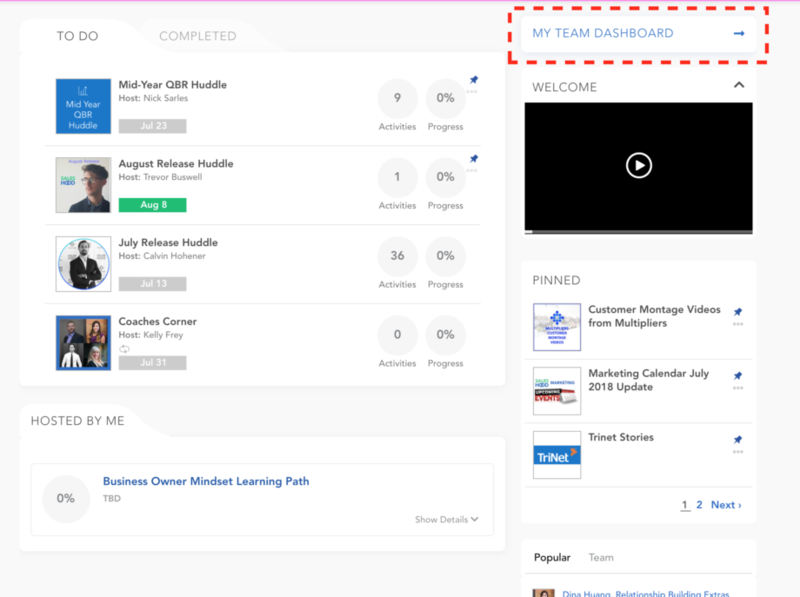 Step 2: To the top right, there is a “My Team Dashboard” link. Please keep in mind that this will only appear if the user has other users assigned to their team. If the user does not, the “My Team Dashboard” option will not be visible. Step 3: Click on “My Team Dashboard” to continue. 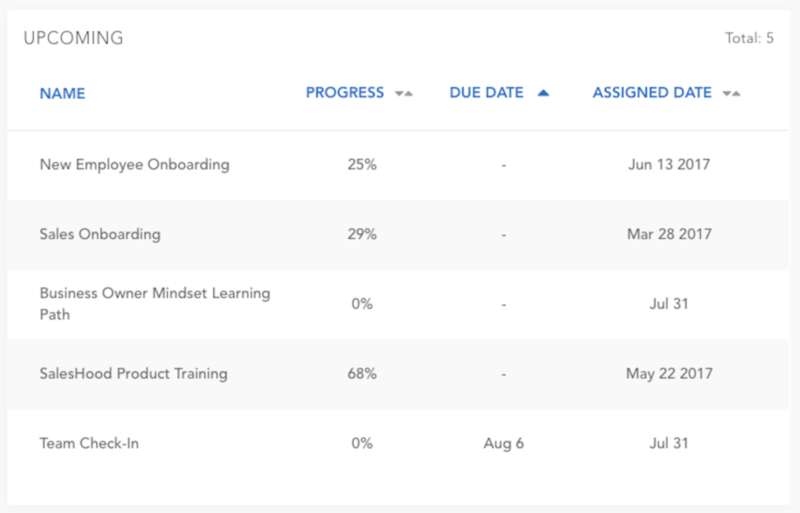 Step 4: You are now on your team dashboard, where you can track your team members’ completion and progress of assigned Huddles, Pitches, and Paths, within SalesHood. 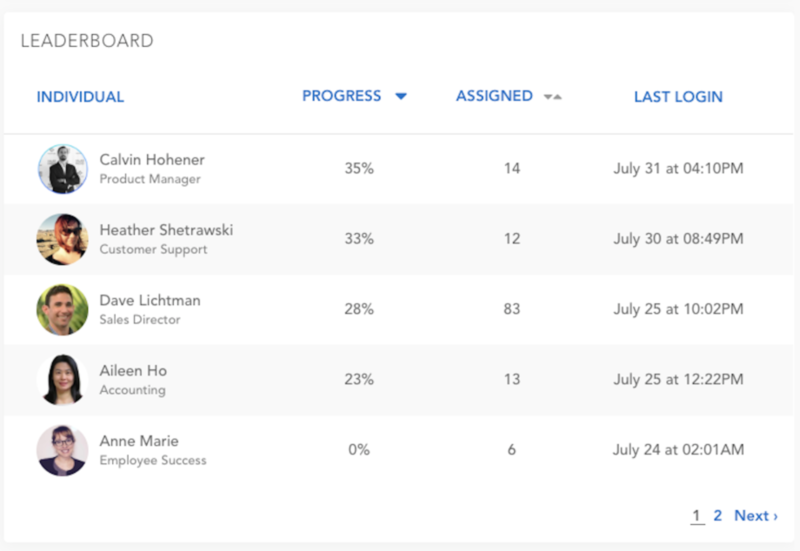 Step 5: The “Completion” section shows the cumulative completion of the content you’ve assigned to your team members. This segmented by Pitch completion, Huddle completion, and Path completion. Step 6: The “Leaderboard” section shows the overall progress of each individual team member, the number of items each member needs to complete, and their last login date/time. 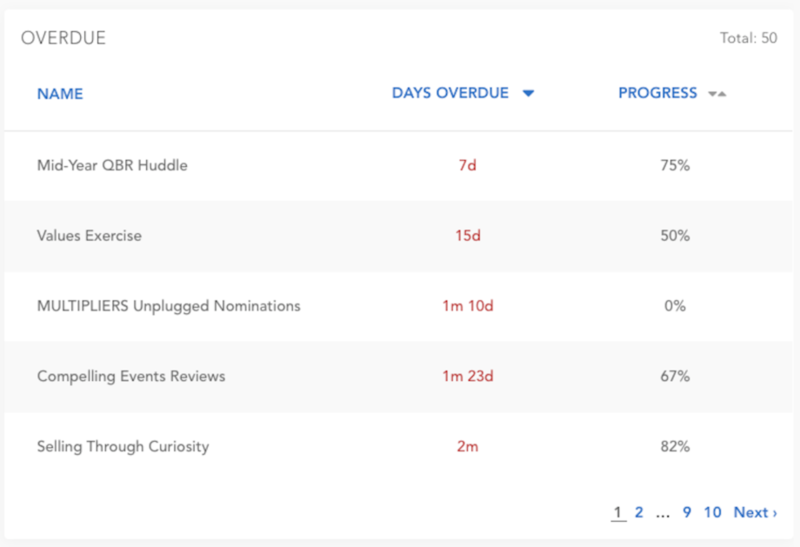 Step 7: The “How is Your Team Doing” section breaks down their progress into the number of assigned, overdue, upcoming, and completed pieces of content. 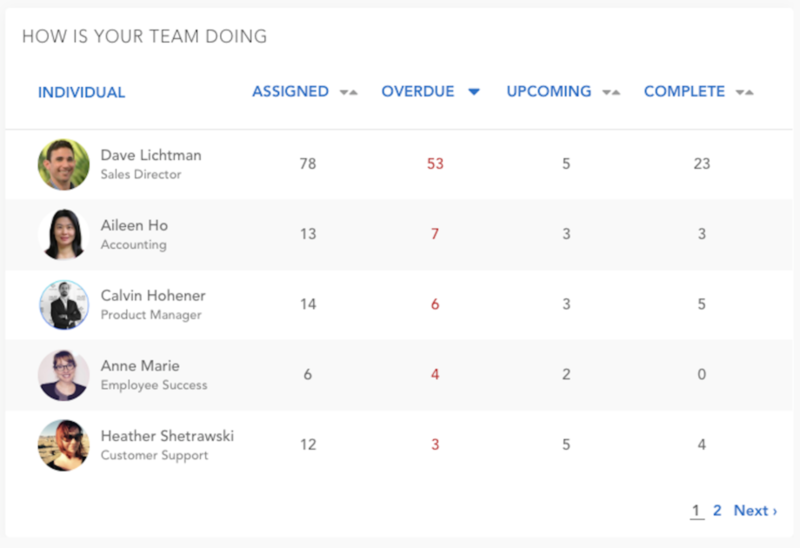 Step 8: For a breakdown of each team member’s progress, select the team member’s name on the “Team Dashboard” section. *Please note there is a name search bar as well. Overdue: Shows the content the user is assigned to where the due date has passed. 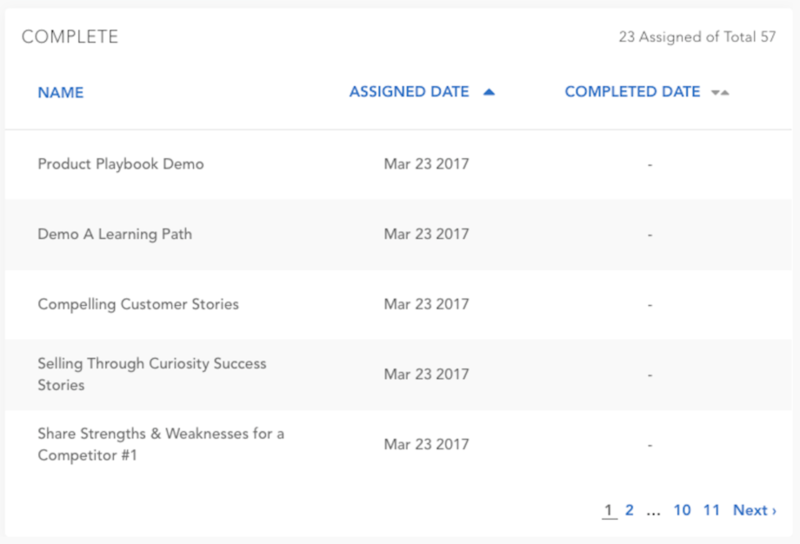 Upcoming: Shows content the user is assigned to where the due date is in the future. Complete: Shows all completed assigned content.